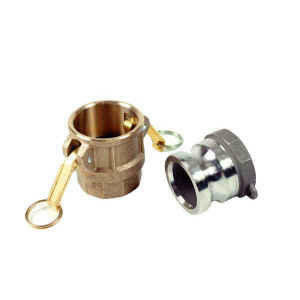 Cam and Groove Fittings Cam and Groove Fittings provide a unique quick coupling connection for hoses handling water, liquid petroleum and other fluids. They are interchangeable with other manufacturers. Available in aluminum, brass, stainless steel, ductile iron, polypropylene, and other special alloys as required. Standard pipe sizes range from ½” to 8”. 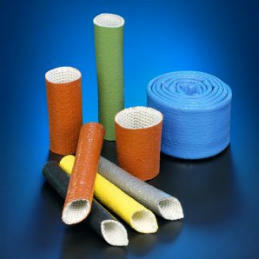 Firesleeve Firesleeve is a fiberglass sleeve coated with silicone rubber. It is commonly used to protect hose and cable assemblies from flame and molten metal splash. Firesleeve is available in a variety of sizes ranging from ¼” to 5”. Benefits of using Firesleeve: • It protects continuously to 500°F. • It prevents residue from accumulating on pipes and hoses. • It insulates against energy loss in pipe and hoses. • It allows bundling of wires, hoses, and cables. • It is resistant to hydraulic fluids, lubricating oils, and fuels. Hose Clamps Hose clamps are used to attach and seal a hose onto a fitting. 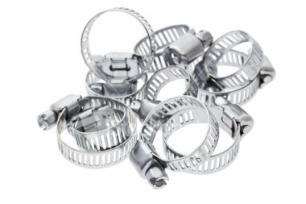 We offer a wide variety of hose clamps, in a range of sizes, to meet your needs. Quick Disconnect Fittings We offer a variety of quick acting couplers and components that are appropriate for industrial, aerospace, and medical markets. Many of our products are also designed to function interchangeably with industrial and military specifications. Our product line ranges from the general pneumatic sleeve-type coupling, to special application couplings with working pressures up to 10,000 psi. 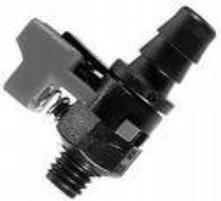 Single shutoff, double shutoff and straight-through options are available. For additional information regarding any of our accessory products and your specific application, please contact us.